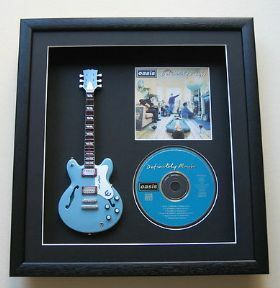 Miniature Guitar and CD Presentation with original CD and CD Booklet. Mounted on “White core” Black Conservation mount card. Framed in a Black Ash Wooden Box frame.